At HOMEHUNTS, we specialise in finding luxury property for sale in France, Monaco and Switzerland for our international clients. We discover the hidden gems that the luxury property market has to offer. Whether you are looking to buy a French Chateau or vineyard, a luxury apartment in Monaco, Geneva or Paris, a Swiss chalet, a Provence farmhouse or a villa on the French Riviera, we will assist you with your search and to guide you through every step of the buying process and beyond. HOMEHUNTS has the experience and knowledge to help you find your dream home. We collaborate with all of the best estate agents, agent immobilier, notaires, property developers and private sellers to bring you the ultimate selection of properties, including a wide range of off-market homes. So, sit back, relax and allow us to do the hard work for you. Customer satisfaction is our priority! Many people find the process of searching for property both frustrating and time consuming. HOMEHUNTS’ multi-lingual team work closely with you, listening to your needs, offering unbiased advice and support throughout the buying process, in your language! We work with you and consolidate your search so you don’t need to trawl through hundreds of agency websites and magazines. We offer you the ultimate selection of properties, saving you time and money. 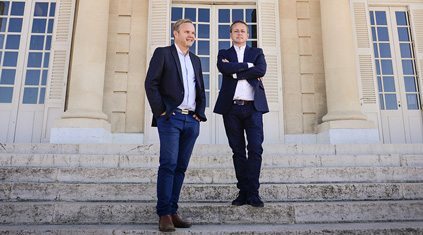 So, if you are looking to buy a property in France, Monaco or Switzerland and need a property specialist to find your dream home – and work on your behalf to secure that luxury property for you – then look no further! And above all, our service is free! 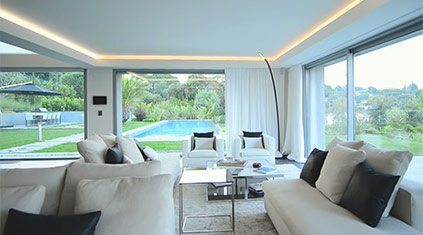 At HOMEHUNTS, we offer a complete, professional property search service for clients interested in buying luxury properties in France, Monaco and Switzerland. We are a fully registered Agent immobilier with our own Carte Professionnelle but we act for the buyer rather than the seller. We are award-winning buyers agents and we work with all of the best selling agents, developers and owners in order to cover the entire property market for our clients and find the best choice of homes. HOW CAN HOMEHUNTS HELP YOU? We offer our clients a free, tailor-made property finding service. We are here to hold your hand and guide you through the buying process from start to finish. Our service is free, as we take a standard fee from the selling agent’s commission. We share our expert buying advice, market information and local area knowledge with you. We guide you through the entire buying process and offer after-sales support, from setting up utilities to renovations, interior design, rentals and more. deLUX magazine (Dream Estates and Luxury Living) is our online magazine which brings you the very best from the luxury property market. 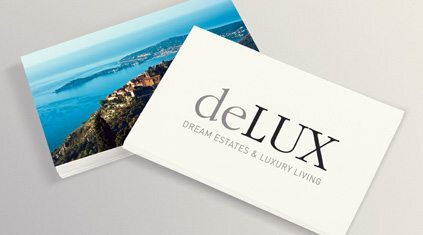 We are constantly updating deLUX online magazine with the latest news, views, information and of course plenty of beautiful and luxurious homes from some of the world’s most coveted locations. Follow us on Facebook or join our mailing list to make sure you are kept up to date on the luxury property market!